Doors open 7:00pm, reading at 7:30. 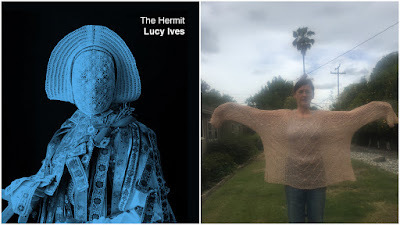 LUCY IVES is the author of five books of poetry and prose, including The Hermit, a book of aphorisms and extremely short stories, recently published by The Song Cave. Her first full-length novel, Impossible Views of the World, will be published by Penguin Press in 2017. JOHANNA JACKSON is an artist living and working in Los Angeles. She has a BA in English Literature and Art History from the University of Maryland and an MFA from San Francisco Art Institute. She is interested in making objects out of feelings. Her work is in the permanent collections of the SFMoMA, Henry Art Gallery, Hammer Museum and the Portland Art Museum. To make yourselves available FNAF FNAF Sister Location Friv Games Thank you both for sharing Holy Mass with us each day Friv Games Twizl Juegos De FNAF when we were called out late at night and any other time and for your support and encouragement in every respect. Friv 2021 Twizl Juegos Yepi Juegos Twizl Thank you for sharing with me a few of your ideas regarding the possibility.